Regular savers accounts are savings accounts that allow you to set aside a specific amount each month. Typically you can save to these types of accounts by setting up a direct debit from your current account each month. Regular savings accounts typically have a low minimum savings amount. Do you need to save regularly to build up a deposit for a Mortgage? The MortgageSaver could be the account for you. Open online in minutes and take the first step towards owning your dream home. Now that you're a 365 online registered user, you can open a 365 Monthly Saver account. It's quick and easy to open and allows you to save by direct debit up to €2,000 a month. There’s no denying it. If you want something, you’ve got to save for it. But how about a little extra help? 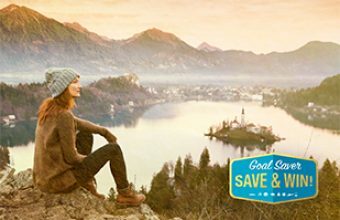 Our guides to savings goals contain practical hints and tips to get you started. Whatever that might be.